In honor and recognition of civil rights activist Gordon Hirabayashi, famous for protesting America’s Japanese internment camps during WWII, the InterIm CDA is constructing Hirabayashi Place, an affordable housing project at the heart of Seattle’s Japantown, slated for completion in December. This first Thursday you’ll have a chance to preview some of the public art designs for the new building. 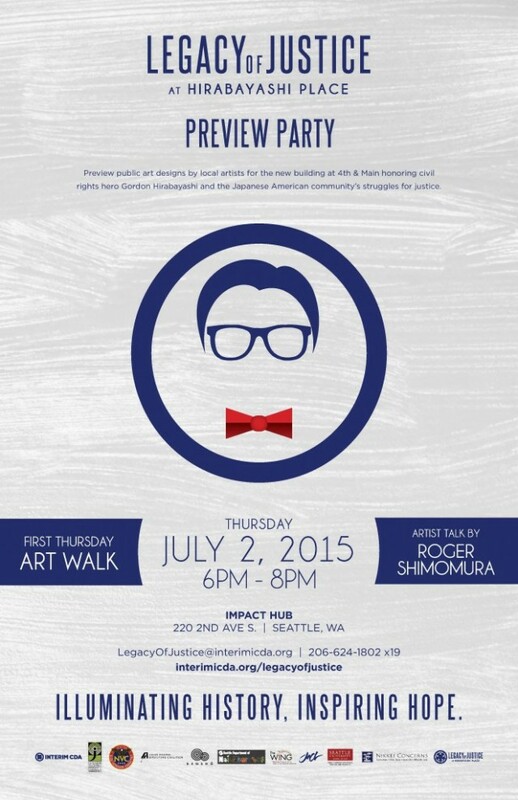 Change things up this month by attending an art walk that draws from history, activism, and urban planning, featuring a mural and artist talk by Roger Shimomura. Tibetan Buddhist teacher Garchen Rinpoche will share the secrets of "living a meaningful life." Imprisoned for 20 years and sent to a forced labor camp during China’s Cultural Revolution, Rinpoche will detail his turmoil and triumphs—and how they informed his teachings. Rinpoche has been featured in films such as Yogis of Tibet and For The Benefit of All Beings. All benefits go to Seattle nonprofit Drikung Seattle, and American Sign Language interpretation will be provided. With actresses like Laverne Cox and award-winning shows like Transparent making waves, transgender representation is certainly in the mix. But Aneesh Sheth, who broke through as the first South Asian trans actress on TV in Outsourced, still believes her experience is underrepresented. That’s why she’s producing her own Seattle-based original series, Crave, which—with its Seattle cast and crew—focuses on the lives of three people: Bobbi, a gay man stuck in an abusive relationship and a job he hates; Karen, a military housewife who finds her marriage crumbling after her husband’s return from a year away in Afghanistan; and Maggie, a trans actress trying to make her mark in show business. Sheth needs help to produce a full season—check out the pilot episode and help her raise $35,000 for a full season before July 6. Want to see your nerdy event featured on the PubliCalendar?